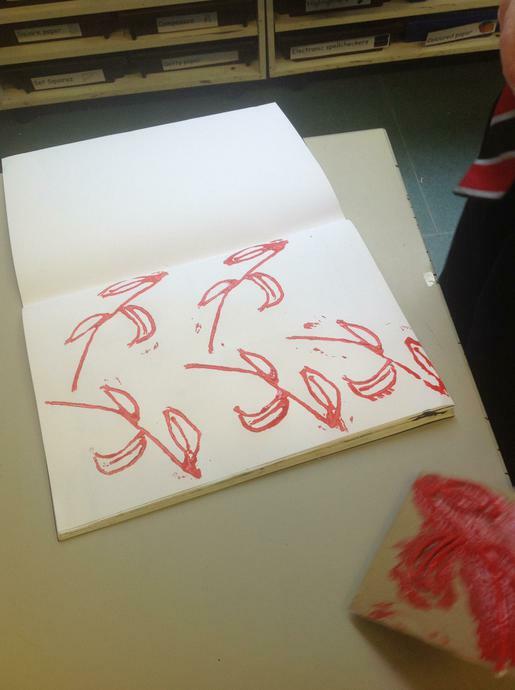 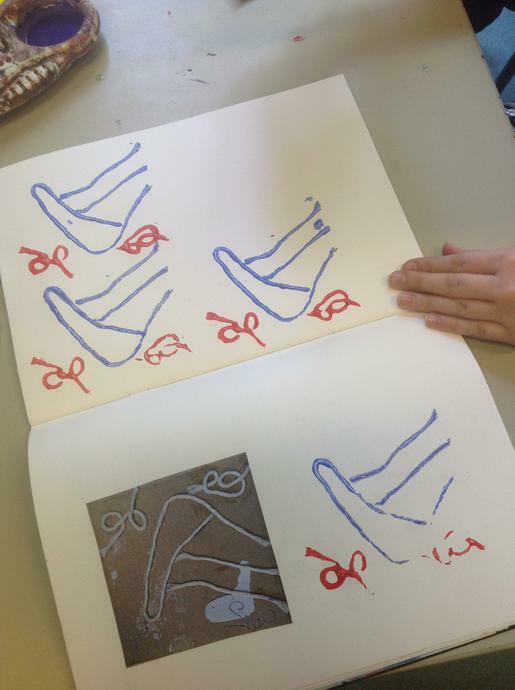 Our focus in art is printmaking. 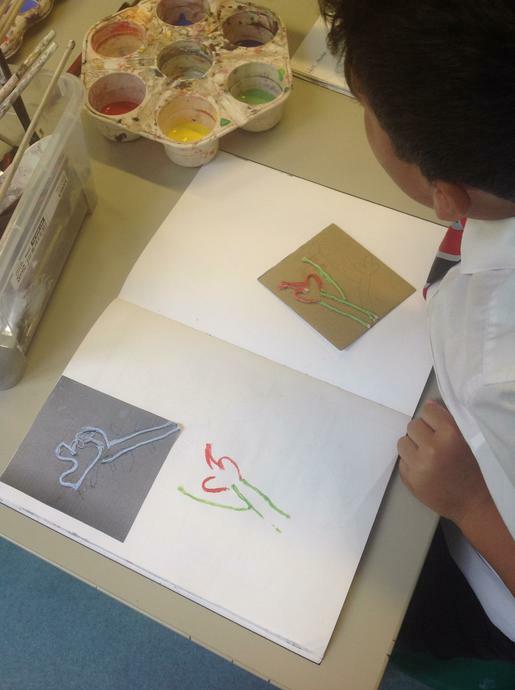 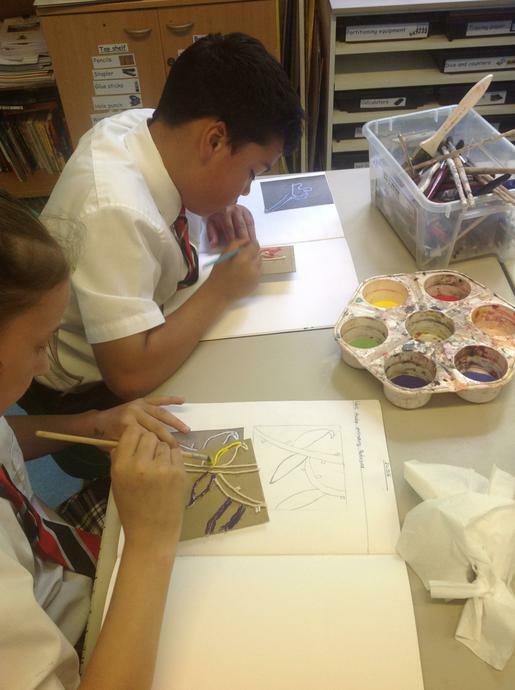 We began in term 5, by studying the work of William Morris, a Victorian interior designer (amongst other things) who printed floral wall papers and textiles. 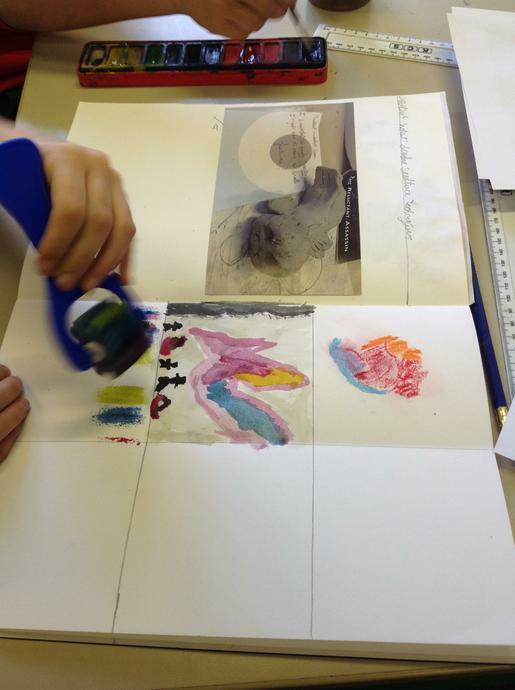 This term, we visited an art exhibiton, specifically to see the work of a print-maker and learn more about how she creates her work. 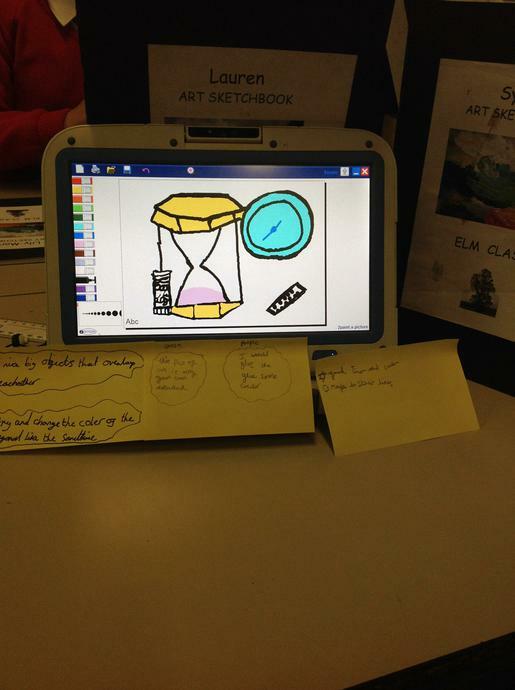 This was a great afternoon, as there were eight other artists all exhibiting in the same place too, which meant there were lots of interesting works to view and artists to speak to. 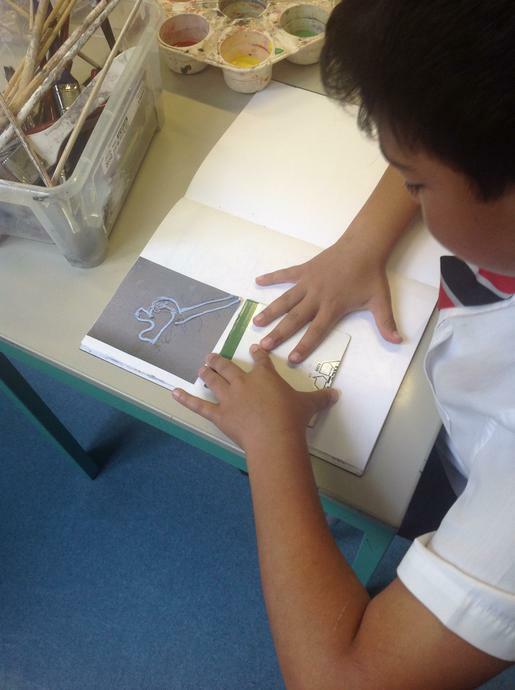 In term three, we are learning about Inuit art; that is, art produced by the Inuits, who are the native people of the arctic. 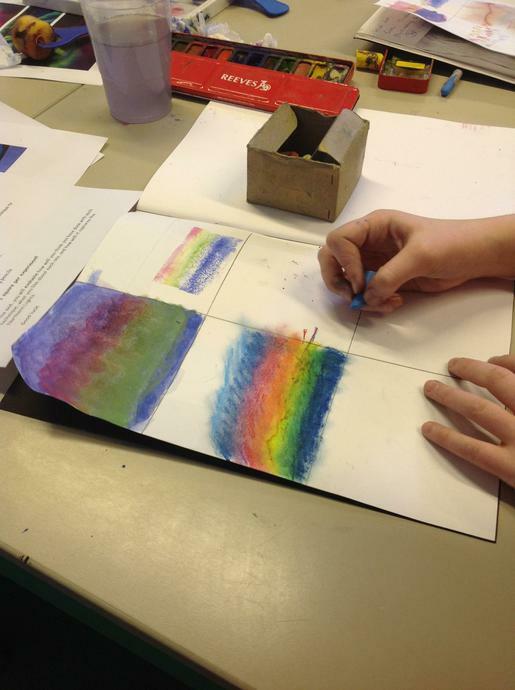 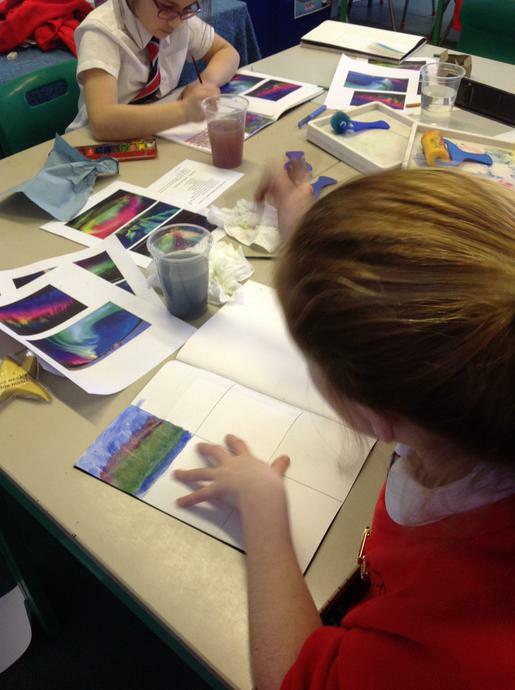 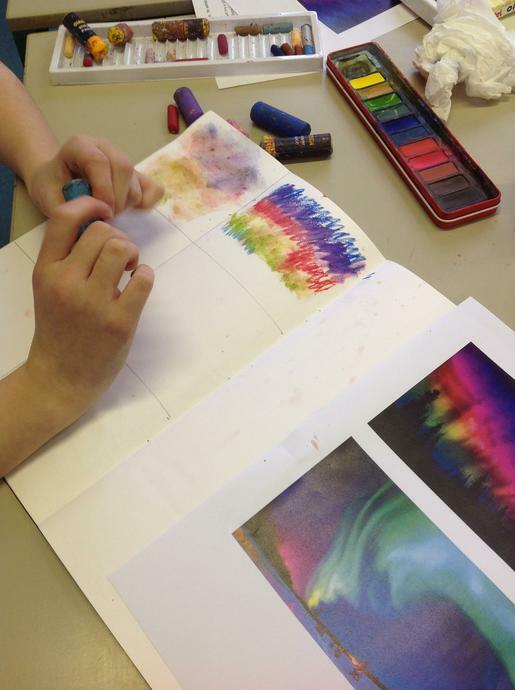 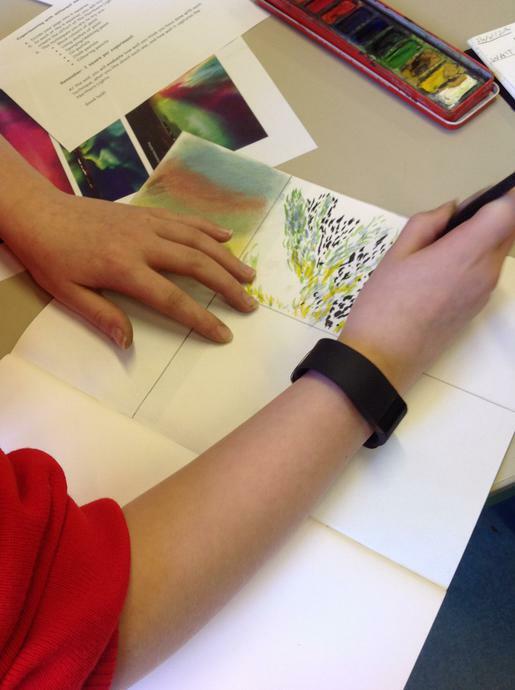 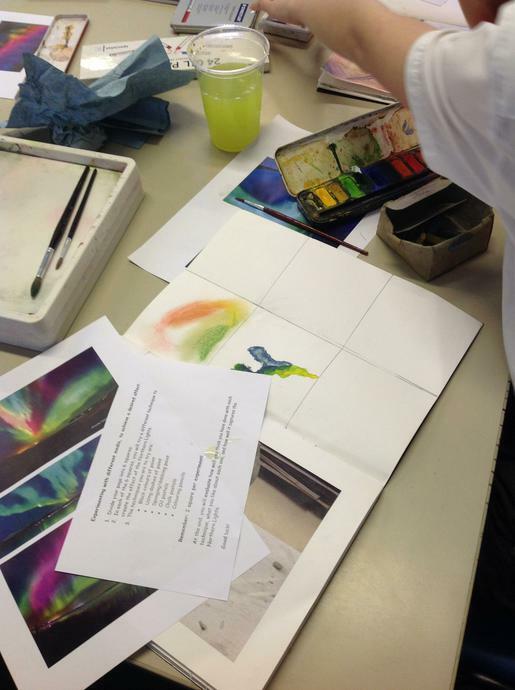 We took inspiration from the Northern Lights, and tried to recreate images of them, using different media. 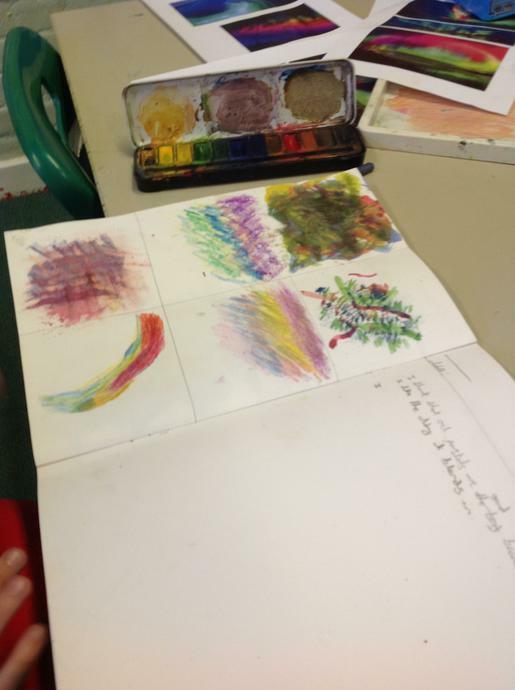 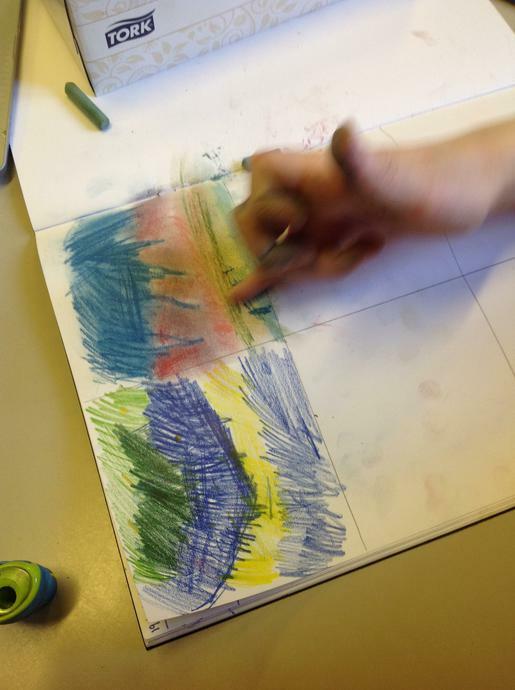 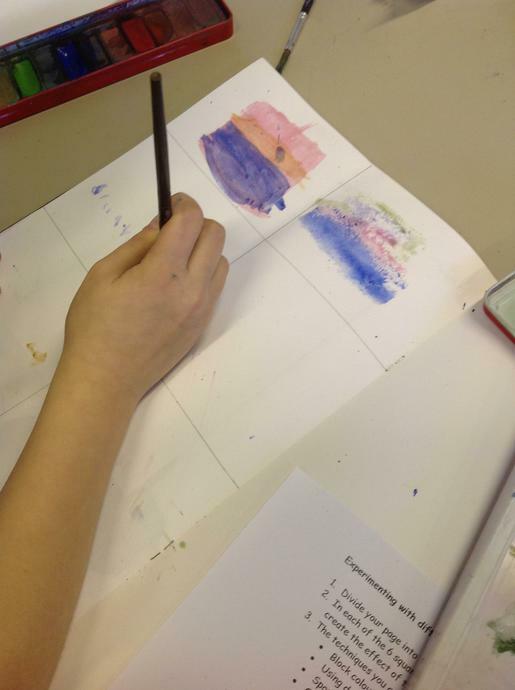 We used paint, thinking about applying it by using block colours, sponges or dashes, and used colouring pencils, chalk pastels and oil pastels. 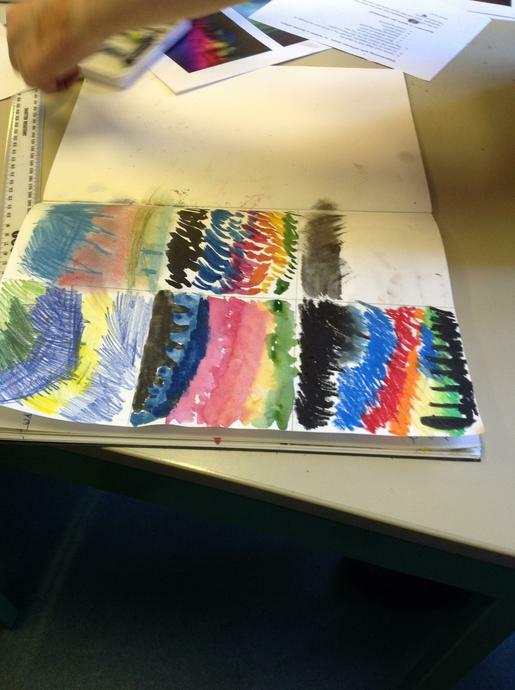 It was great to discuss the effectiveness of each material, and whether it allowed us to create an effective image or not. 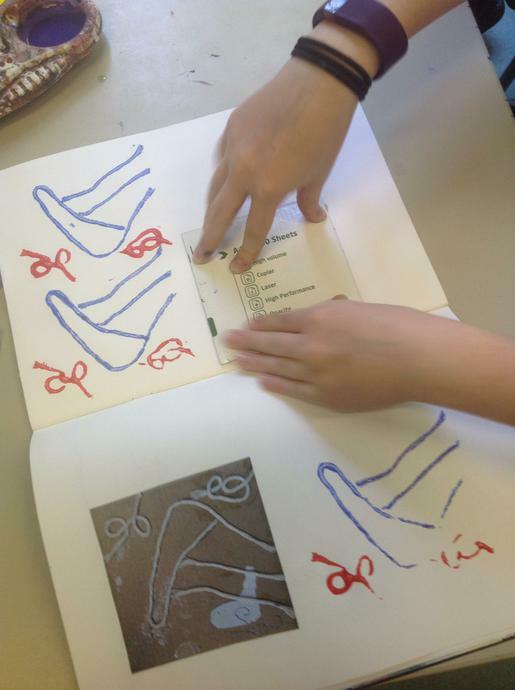 We started off by learning about the different types of traditional Inuit art, and finding out that they normally create art based on their surroundings. 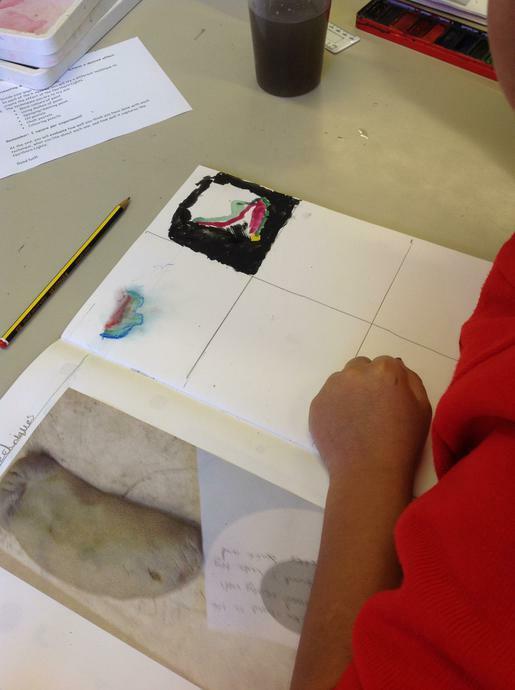 This means, that quite often, arctic animals feature in their work. 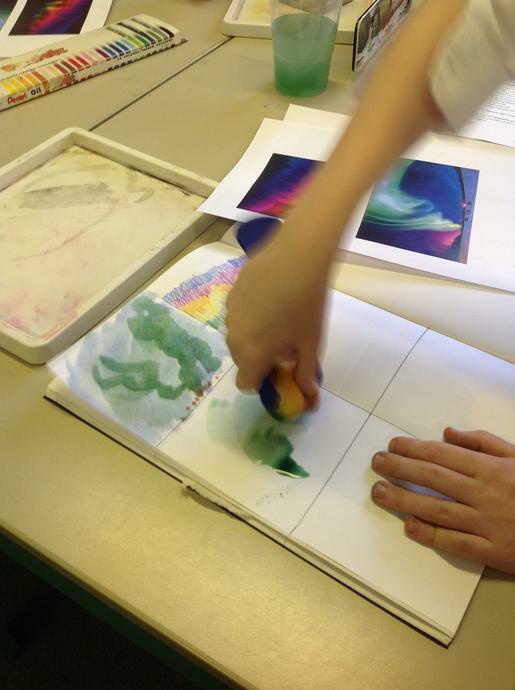 We made our own printing blocks, based on the shapes found in some Inuit paintings of animals, and then used these to develop our printmaking technique. 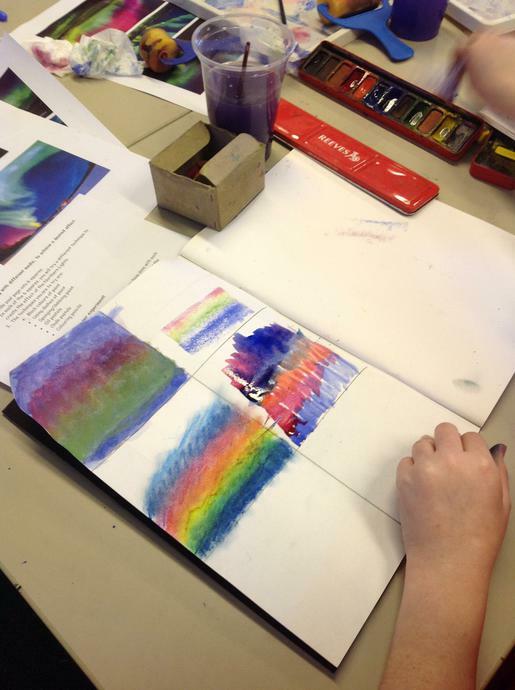 The Art focus for term 2, is 2D materials and techniques. 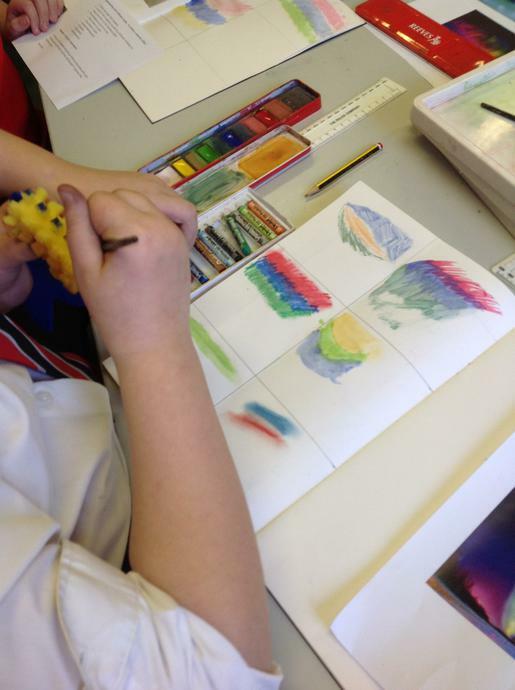 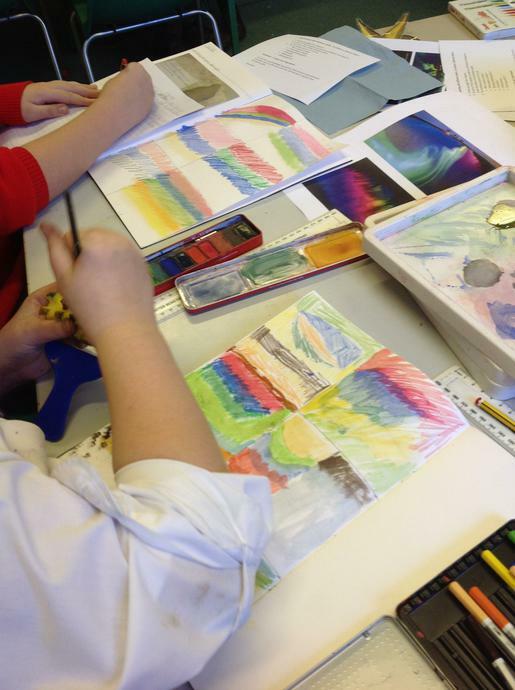 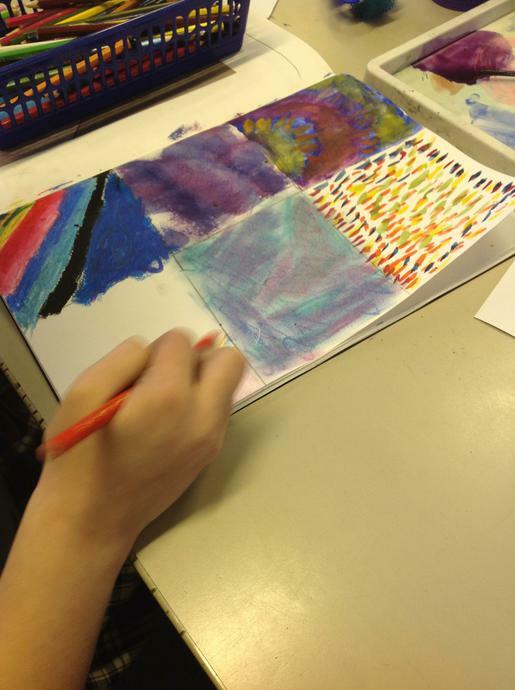 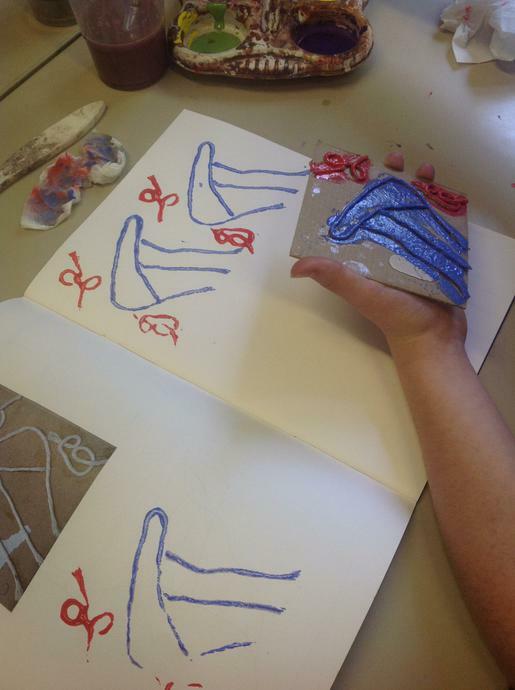 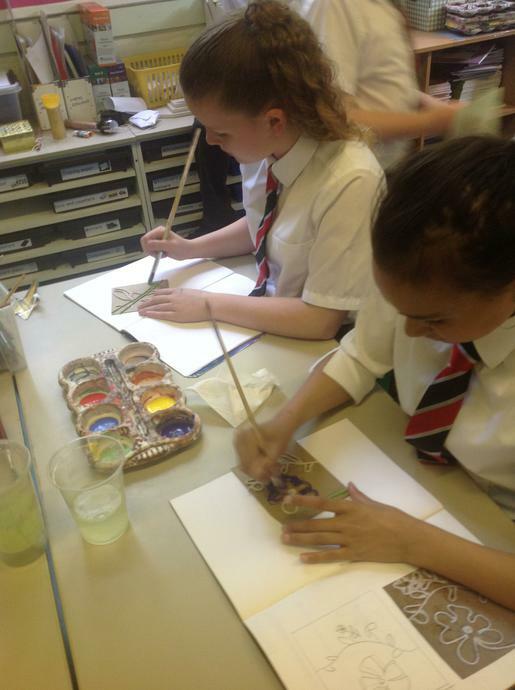 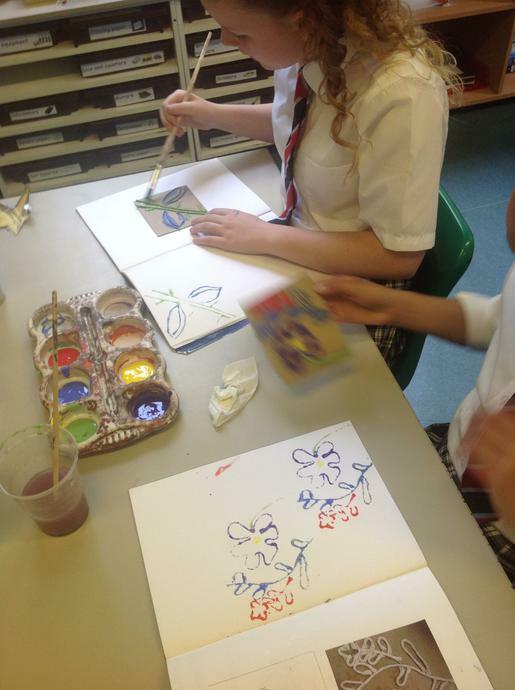 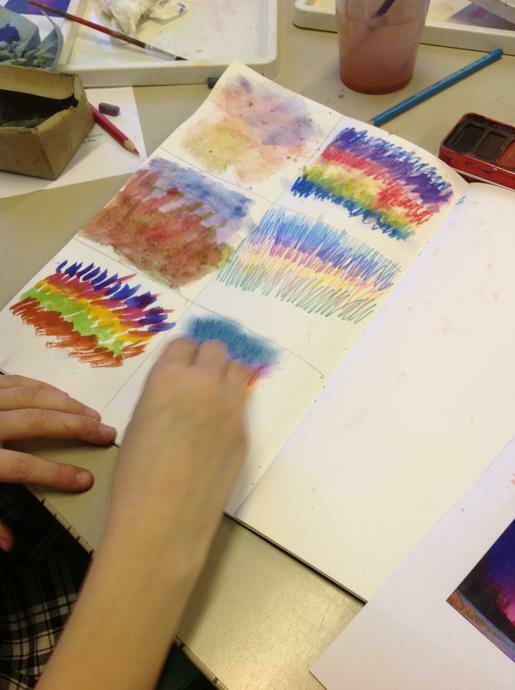 Elm class will be developing their skills with pencils, paint and pastels over the coming weeks. 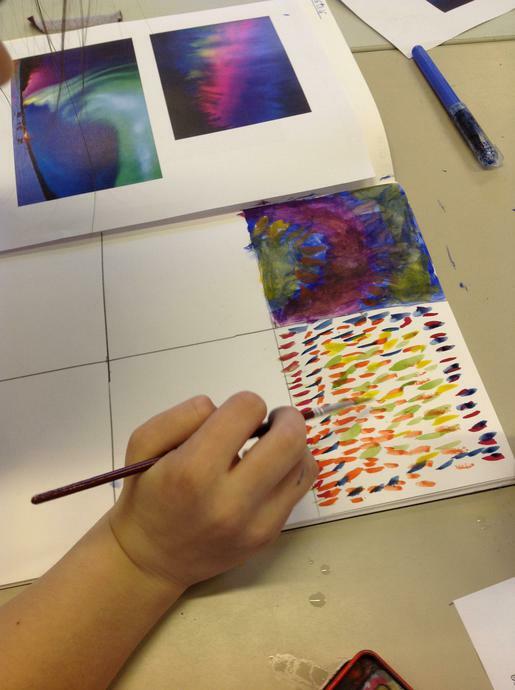 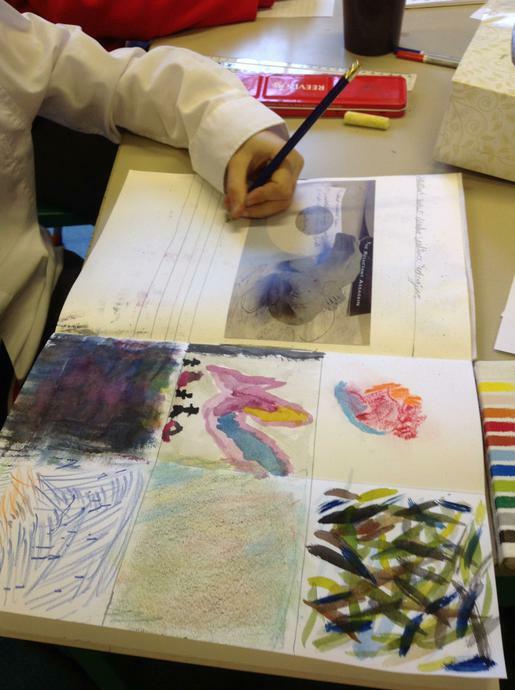 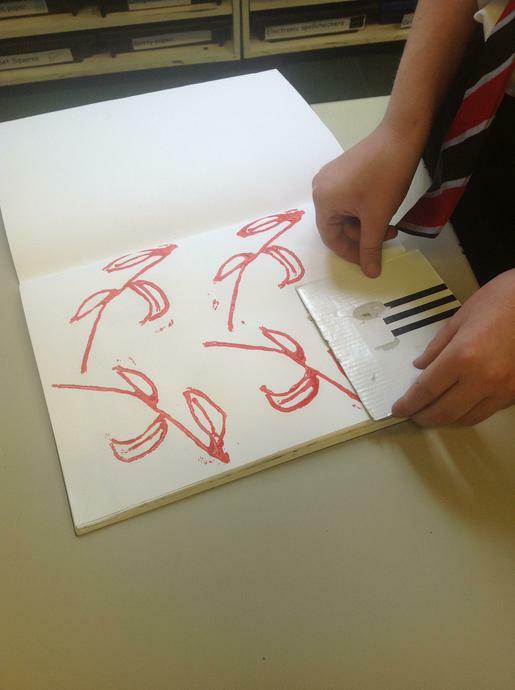 Our first focus, was adding tone to pencil drawings. 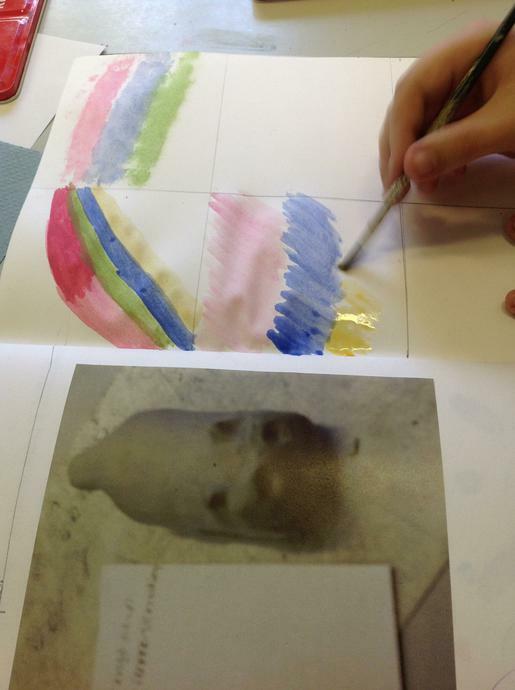 To do this, we created direct observation drawings of a still life, which comprised of genuine WW2 helmets. 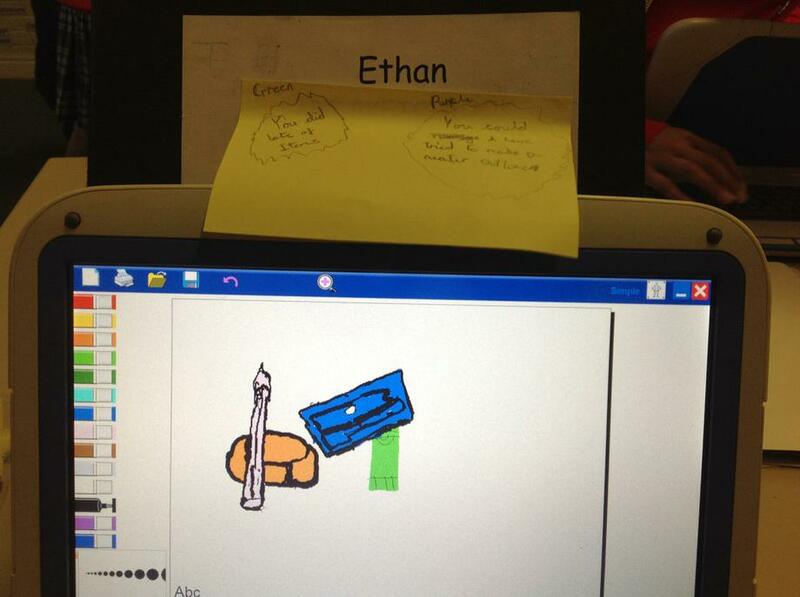 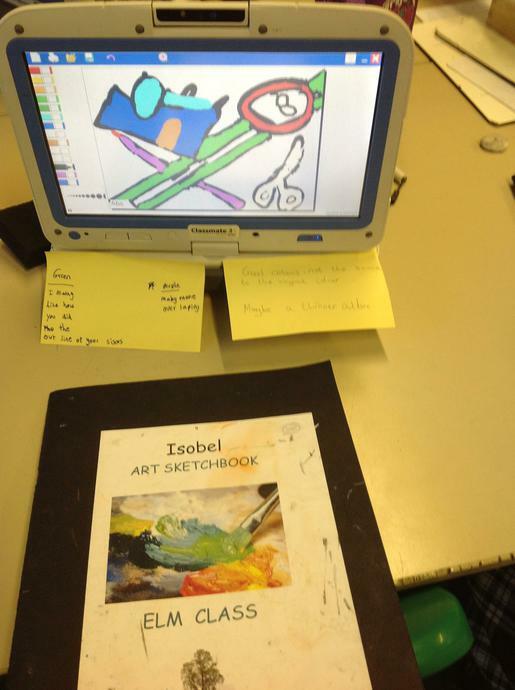 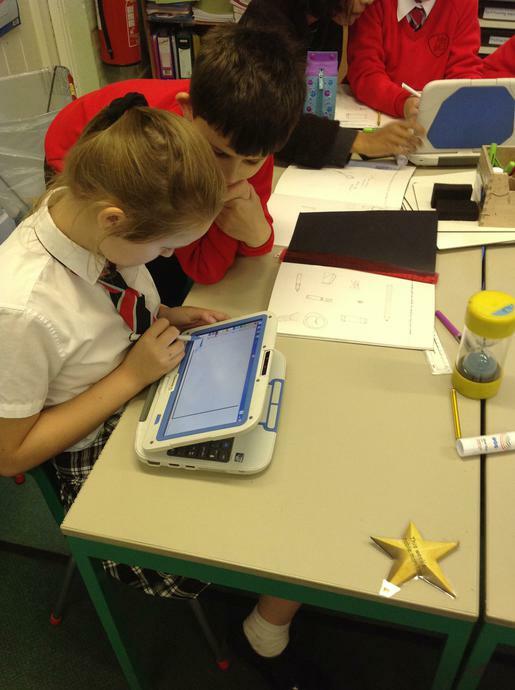 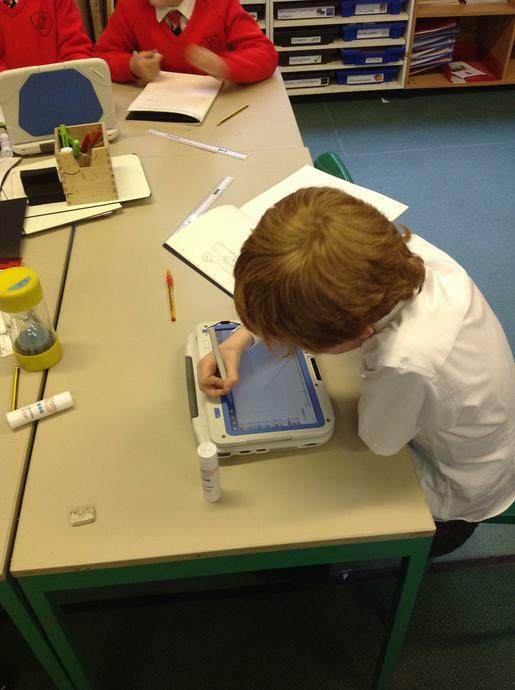 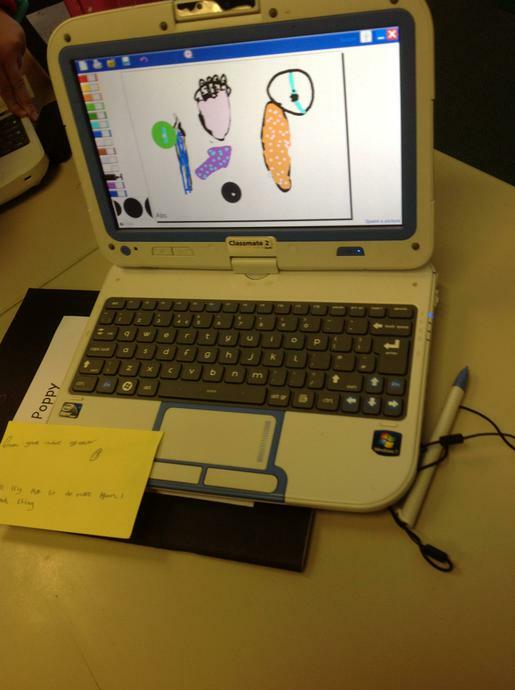 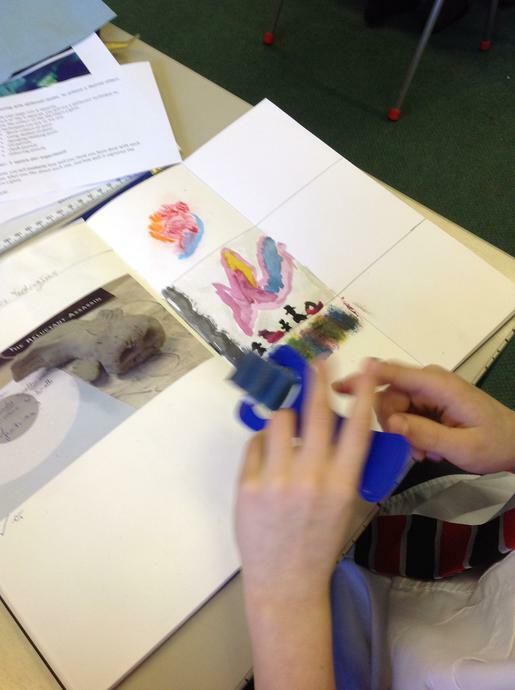 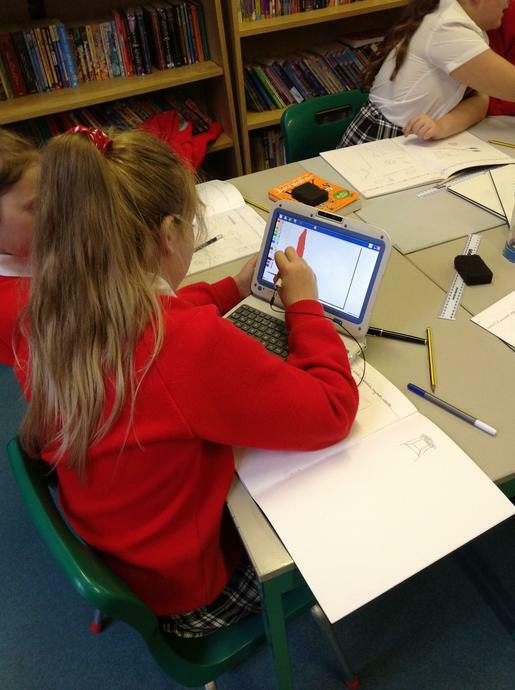 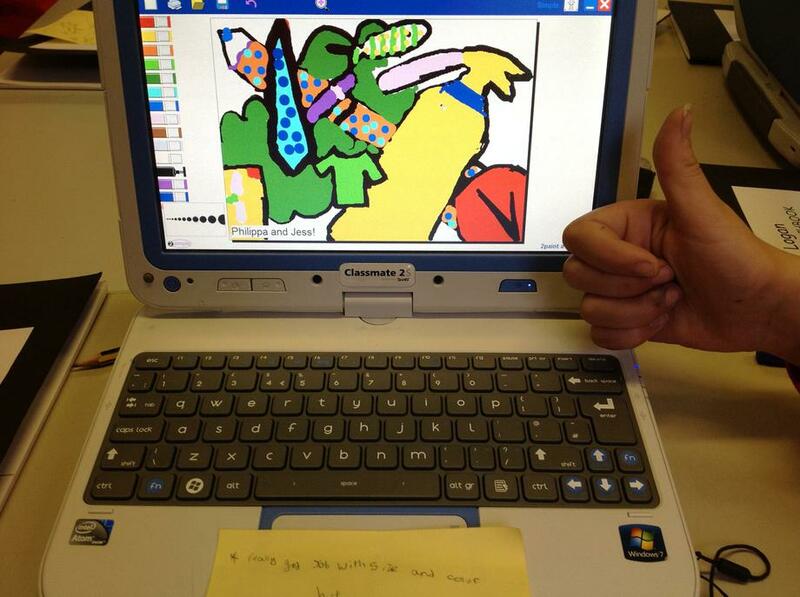 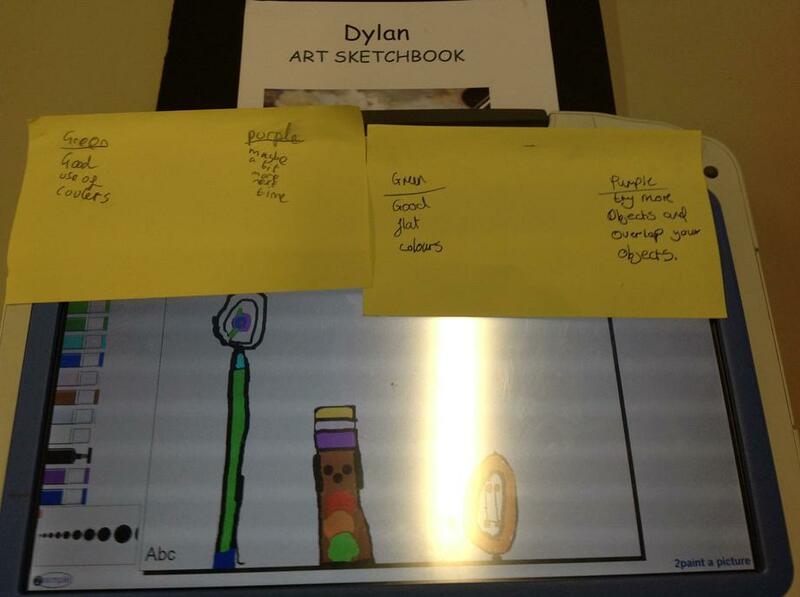 As part of our, 'Tomorrow's World' topic, we have been using technology to create art. 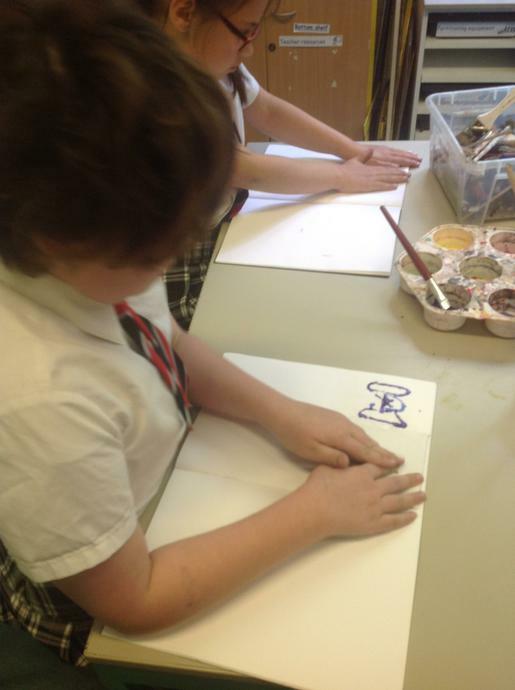 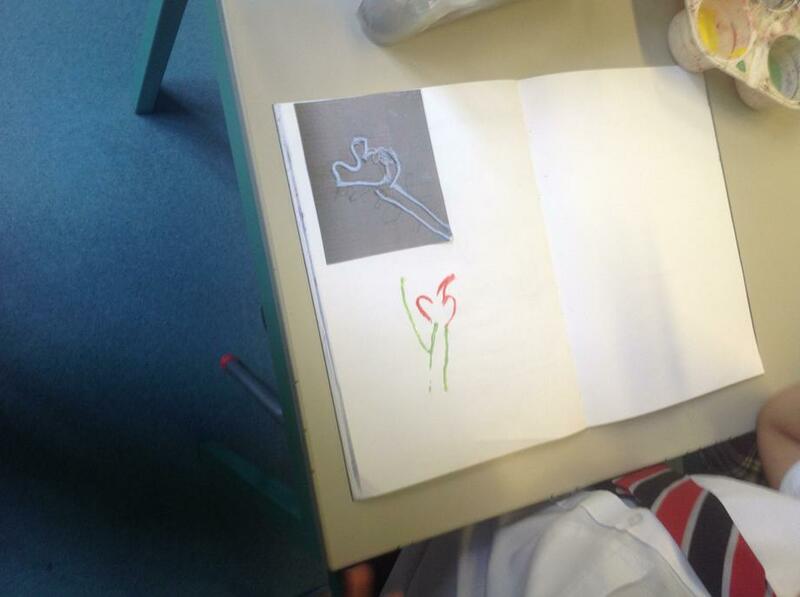 This week, we learnt about the artist Michael Craig Martin. 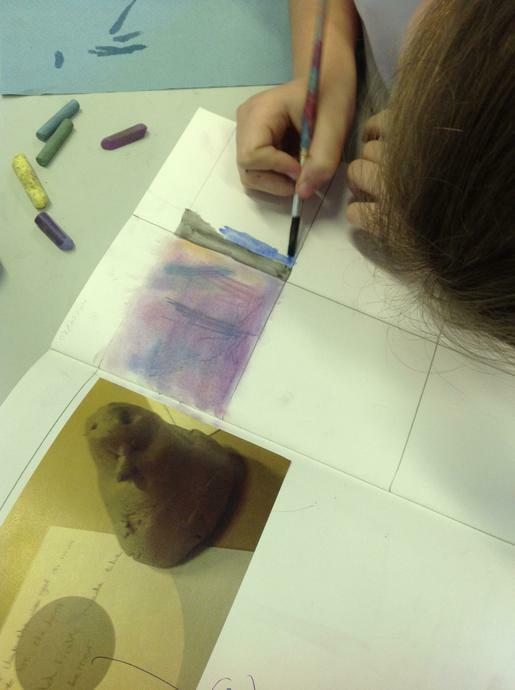 He uses flat colours and black outlines to create still life pieces of everyday objects; the size and colour of the objects are not realistic though.